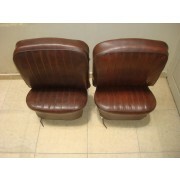 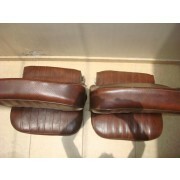 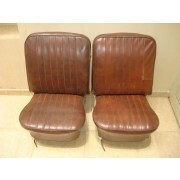 Rare and complete set of VW original seats for bugs. 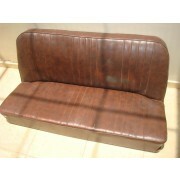 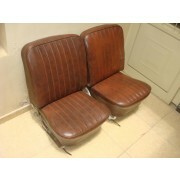 This seat was used in the Volkswagen bugs Oval model (1953 up to 1957) and Squareback model (1958 up to 1964). 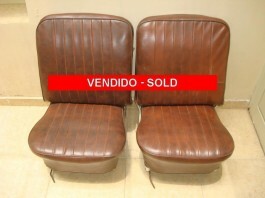 Raro e completo jogo de bancos originais Volkswagen para fuscas. 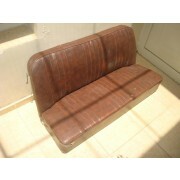 Este banco foi utilizado nos fuscas modelo Oval (1953 até 1957) e modelo Squareback (1958 até 1964).